Borgata Hotel Casino & Spa is one of the hottest poker spots on the eastern seaboard, with the largest poker room in Atlantic City, a huge cash game scene, and popular tournaments throughout the year. That includes being a featured World Poker Tour stop for the Borgata Poker Open, which has been on the WPT schedule since 2003. The event debuted in Season II and this year’s event, part of the WPT’s Season XVII, runs September 16-21, 2018. The $3,500 buy-in event features a $3 million guarantee with the final table live streamed. Along with a big poker scene, Borgata offers players plenty of amenities — fine dining, nightlife and entertainment, a spectacular pool and spa scene, and luxurious rooms and suites. As the property celebrates its 15th anniversary in 2018, this year’s WPT Borgata Poker Open should be even more special. What makes the Borgata such a great place for poker players? Asher Conniff, a WPT Champions Club member, is a regular at the Borgata and a huge fan of the property. He has almost $2 million in live tournament winnings, and won the WPT World Championship held at Borgata in 2015 for $973,683. Conniff says the Borgata has a great down-home feel, whether it’s a $200 nightly tournament or a massive WPT event with more than 1,000 players. Conniff says WPT events at Borgata have become must-play events for many players in the area and from across the country. Everyone seems to become a regular. In the past few years, Conniff says the property has done even more to cater to players — especially when it comes to dining options. That includes renovating the cafeteria area downstairs, placing more healthy and interesting dining options, and upgrading the fast food options. Borgata also often gives dinner vouchers to players, including coupons for discounts at fine dining on buy-in receipts. 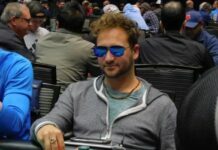 At the tables, Conniff says one thing he likes is that when tournament play is 10-handed, tournament staff rush to get back to nine-handed as quickly as possible. He adds that tournament director Tab Duchateau is always willing to listen to player feedback and make changes if needed. During his win at the Borgata, Conniff says a few things stand out. Two weeks earlier, he also won the first event of the series — a $560 buy-in tournament that brought him $203,231. 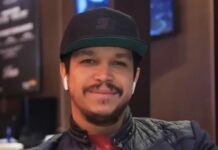 Conniff actually won a satellite into the WPT championship before going on to win nearly $1 million in first-place prize money. As the WPT Borgata Poker Open approaches, Conniff is already planning his trip. He hasn’t missed a tournament series in over three years and that’s not changing this year. 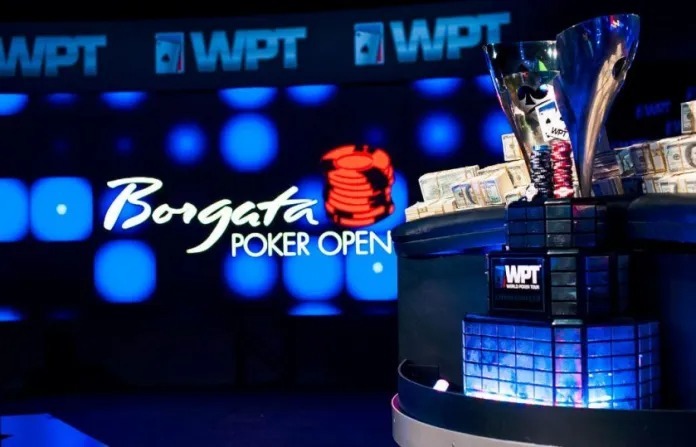 Prior to the WPT Borgata Poker Open Championship, the Borgata will be offering 23 events featuring the $1.5 million guaranteed Deepstack Kick-Off as well as the $1 million guaranteed Almighty Stack event. The entire slate of action gets started September 4. For more information on the schedule of events, click here. For more information on the Season XVII WPT Borgata Poker Open, including the $3,500 Championship, check out the event hub on WPT.com.